The Flakpanzer IV "Ostwind" (East Wind in German) was a self-propelled anti-aircraft gun based on the Panzer IV tank. It was developed in 1944 as a successor to the earlier Flakpanzer IV/2cm Vierling Wirbelwind. The Panzer IV's turret was removed and replaced with an open-top, hexagonal turret which housed a 3.7 cm FlaK 43. In addition to its intended role as an anti-aircraft weapon, the fast-firing gun was highly effective against light vehicles and minor fortifications. A closed-top design would have been preferable, but this was not possible due to the heavy smoke generated by the gun. 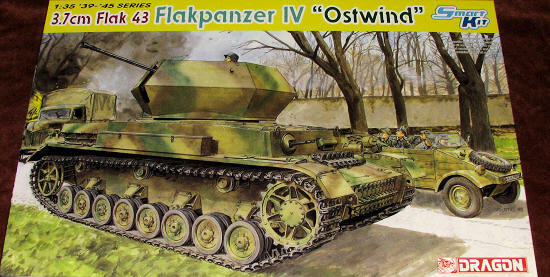 The Ostwind's main improvement over the Wirbelwind was the FlaK 43's increased range and stopping power over the 2 cm Flakvierling 38 and slightly better armoring on its turret. Although an order for 100 vehicles was placed in August, 1944, only 44 vehicles were completed (37 converted from existing Panzer IV's and 7 new production vehicles) from December 1944 to March 1945, all work being carried out by Ostbau Werke in Sagan, Silesia. Earlier, Dragon kitted the Wirbelwind AA tank with the four 20mm. It was only natural that they would also do the 37mm AA tank and now we have it. 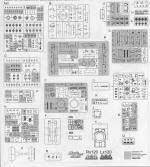 Not surprisingly, much of the kit is based on their Panzer IV so those who have built one of those kits will find a lot of familiar pieces. Due to that, you will have a lot of spare bits when this is done. What is new on this kit is most of the parts from the upper decking up. As you can see in the features list below, this includes a new upper deck, new turret and a number of other new bits and pieces. The kit provides five different markings options. Only the top two in the image to the right are known units. These are both assigned to the s.Pz.Abt.507 at Nove Bentaky in 1945. The small decal sheet provides only insignia as these vehicles were apparently pretty much devoid of any markings at all. The Dragon instructions are up to their usual standards with nicely drawn construction steps and paint references using both Gunze and Model Master paints. 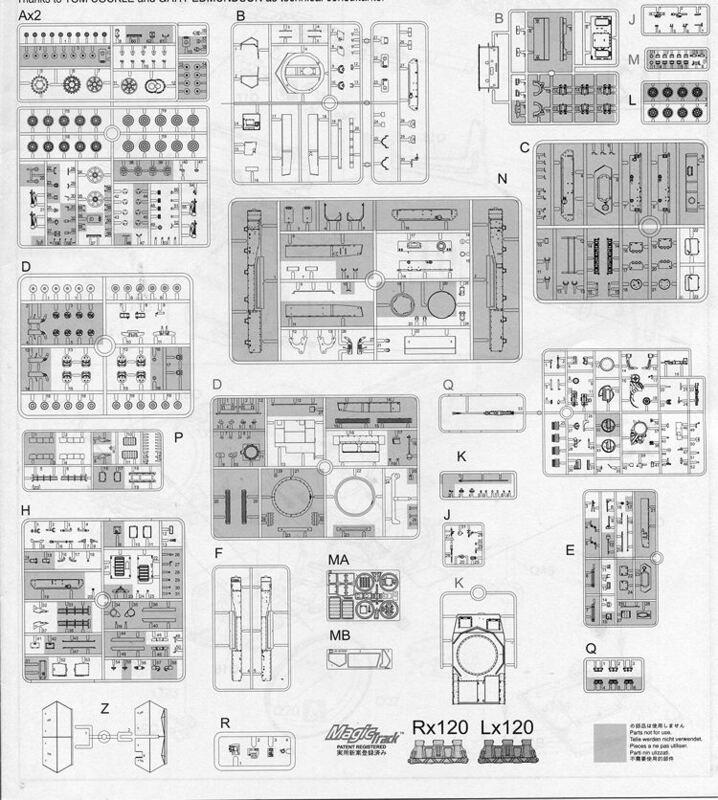 I am sure there will be a small construction glitch in there as it seems there is at least one in every Dragon/Cyber-hobby kit! Those who are into mobile AA or Panzer IVs or even just want something a bit different from the norm will find this to be a very nicely done kit. They all wore rather striking camouflage schemes so will look great on your display shelf.